Every commercial worksite knows that moving heavy objects is a part of the job. However, sometimes traditional machinery and manpower isn’t effective at transporting heavy loads. While weight may not be a problem, awkwardly shaped loads are better lifted from above. Since most companies don’t want to purchase a crane just to handle the occasional wide or hard-to-balance load of cargo, The Workplace Depot is excited to offer the Fork Mounted Jib. 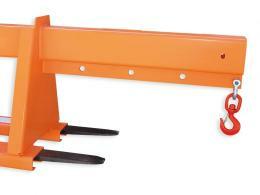 This handy accessory can be attached to any standard fork lift to convert it into a mobile crane. 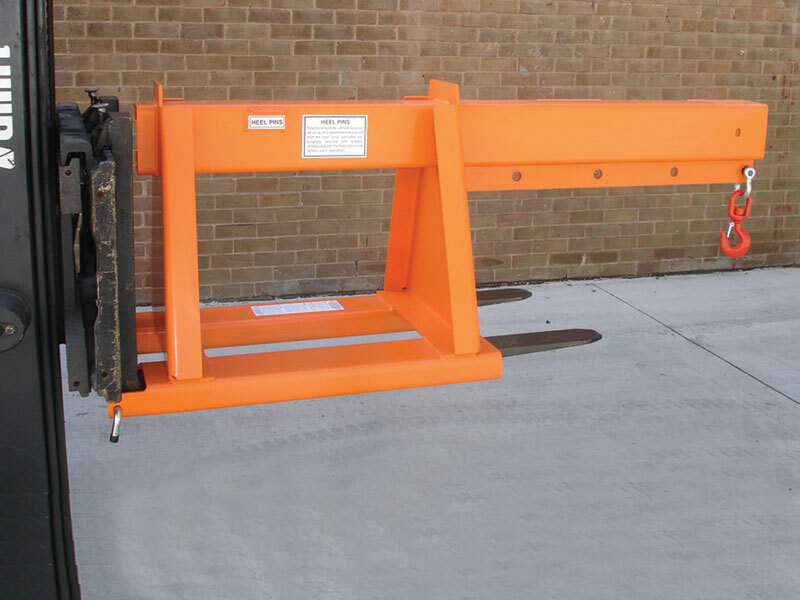 Designed to be both robust and user friendly, this unit makes a great addition to any worksite. What is The Purpose of The Fork Mounted Jib? 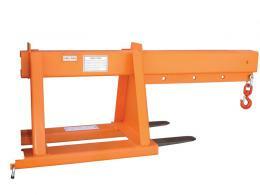 The fork mounted jib is designed to provide an additional degree of functionality to standard fork lifts. While lifts can support heavy loads of cargo, objects with awkward shapes pose a different kind of challenge. This unit, which can be easily attached and detached as needed, gives the fork lift the ability to hold items from above and move them with ease. Where Might This Product be Used? This product can prove useful at a variety of commercial sites. Construction companies, automotive workshops, and shipping yards can all benefit from having this unit on hand. Its adjustable nature makes it ideal for holding any load with precision. This is especially valuable for organizations that are concerned with improving speed and output without investing in costly additional machinery or requiring multiple workers to leave their stations to move cargo. This product can be used at any commercial location by any technician who is able to operate a standard forklift. 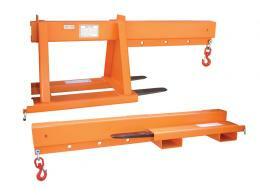 The basic but innovative design allows it to be used on a fork lift without any additional training. The unit is sturdy, but is compact enough to be safely stored out of the way while not in use. The sturdy construction is guaranteed to provide years of reliable service. This powerful unit can hold up to 5000kg of cargo and utilizes a multi-hook positioning component to provide maximum maneuverability. The single swivel hook and zinc plated fork heel pins allow cargo to be held in a sturdy fashion at a variety of lengths from the base. The bright orange finish fits in well at any commercial site. Improve your business today with the fork mounted jib!